I was surfing for cute journals online for my niece when I stumbled upon this nice Haircalf Journals from vivre.com. My college niece loves journals so much that she practically made a personalized one for her. She loves decorating it with her handwriting, putting embellishments, initials or whatever she fancies. So when I so these Haircalf Journals, I know she will love it. 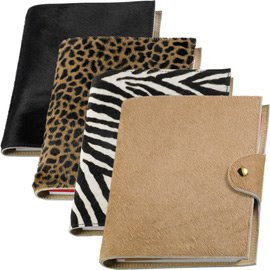 It has exotic and debonair look, with the safari style journal, i know she will be more insipred to jot down all hair daily activities and future schedules.